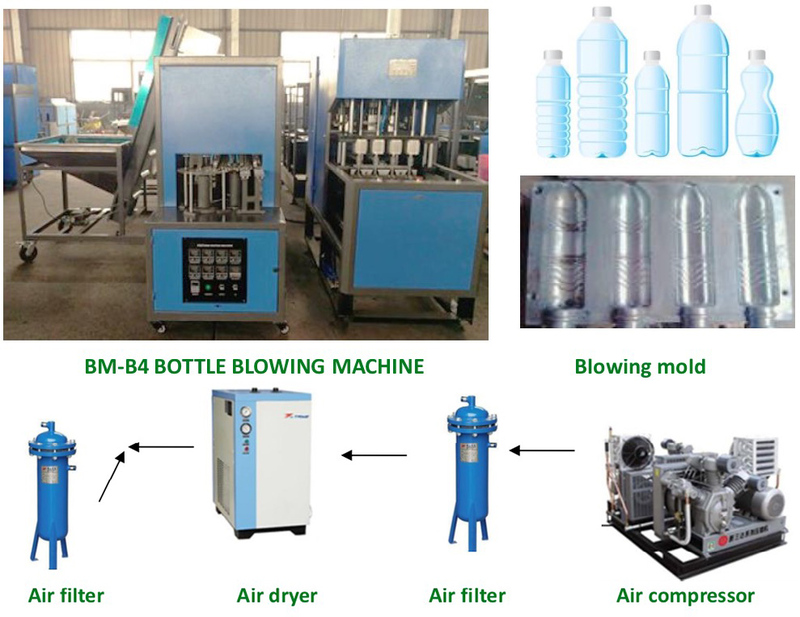 Semi Automatic Four Cavities PET Bottle Blowing Machine For 50ml to 1500ml (1500-2000pcs/hour) - Buy blowing machine, bottle blowing machine, semi automatic blowing machine Product on Zhangjiagang Borun Machinery Co., Ltd. 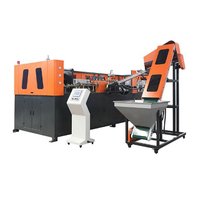 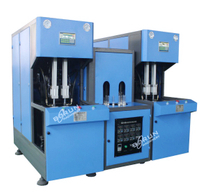 This semi automatic PET bottle blowing with four cavities is the latest high output machine. Comparing to the traditional machine design, due to the new concept of automatic bottle discharging unit, the patented heating system. 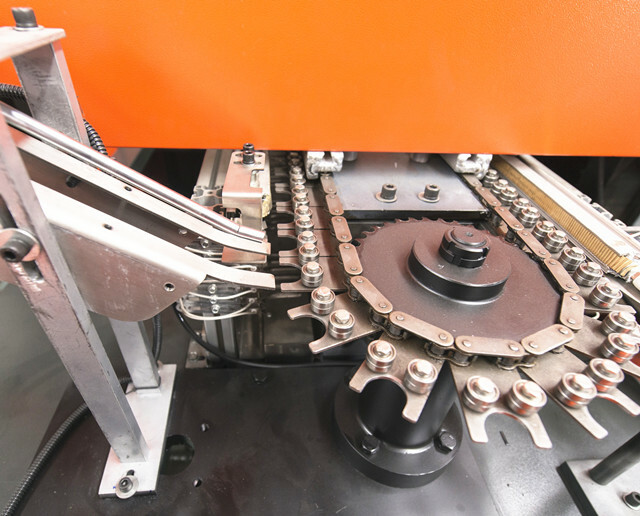 It requires less labor and reducing the work intention for the operator. 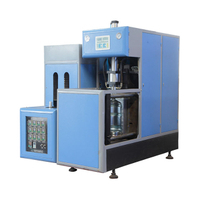 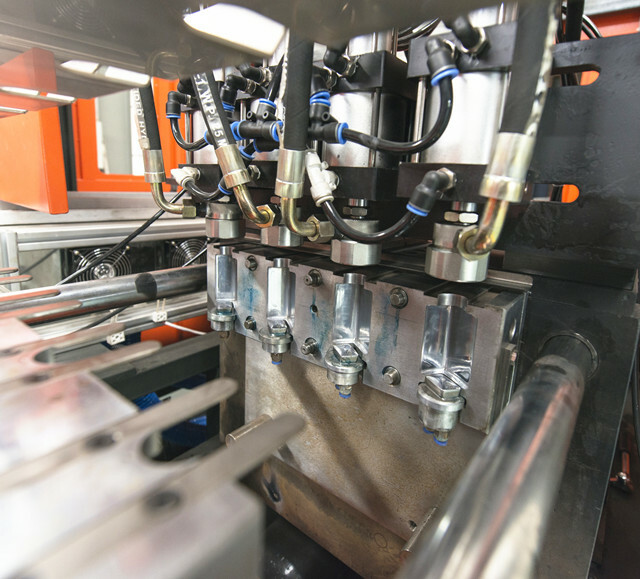 It's an outstanding improvement in PET bottle blow molding industry. 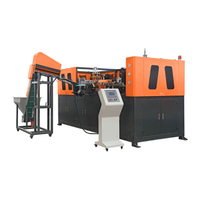 BM-B4 semi-automatic bottle blow molding machine is suitable for producing PET plastic containers and bottles from 50-1500ml. 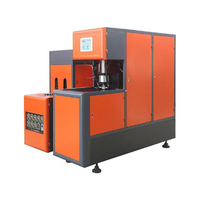 It is widely used to produce the carbonated bottle, mineral water, pesticide bottle oil bottle cosmetics, wide-mouth bottle etc. 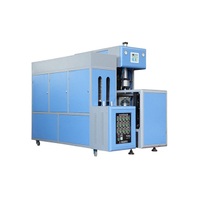 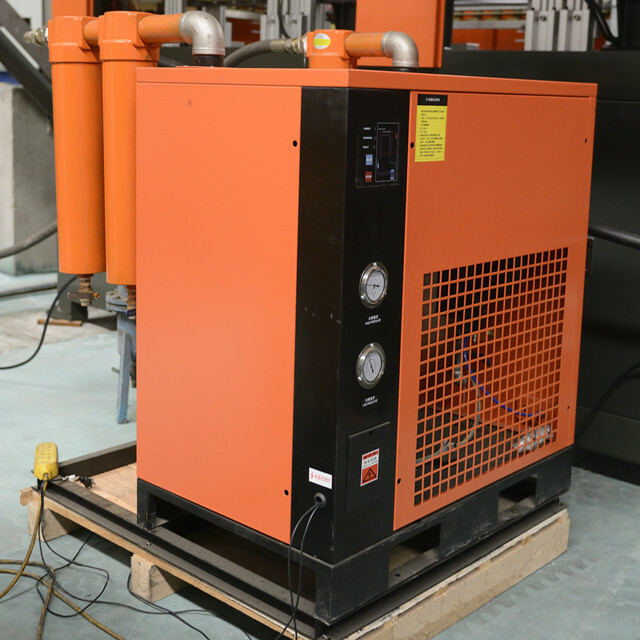 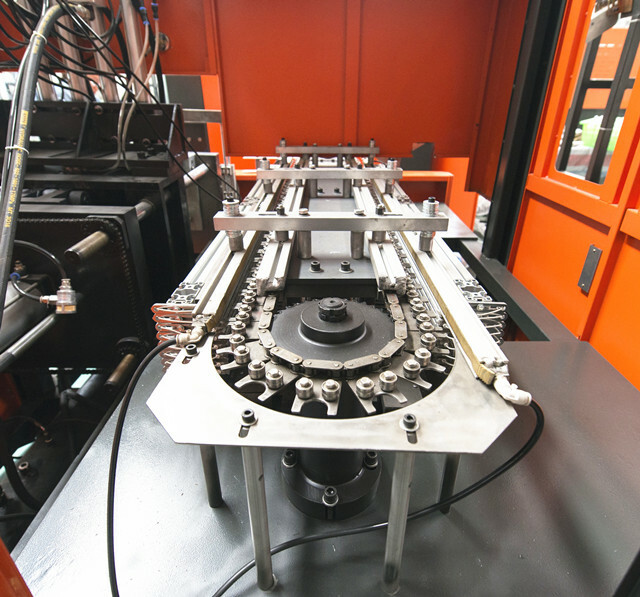 *Adopting double crank to adjust mold ,heavy locking mold, stable and fast ,Adopt infrared oven to heat the perform ,the perform rotated and heated equally. 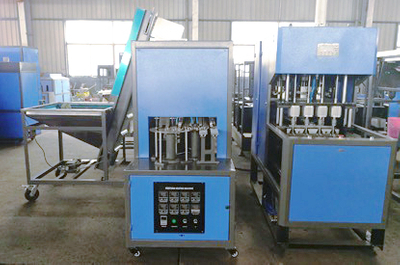 *The air system has been divided into two parts: pneumatic action part and bottle blow part to meet the different requirements for the action and blow .It can provide sufficient and steady high pressure for blowing large irregular shaped bottles. 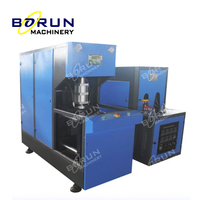 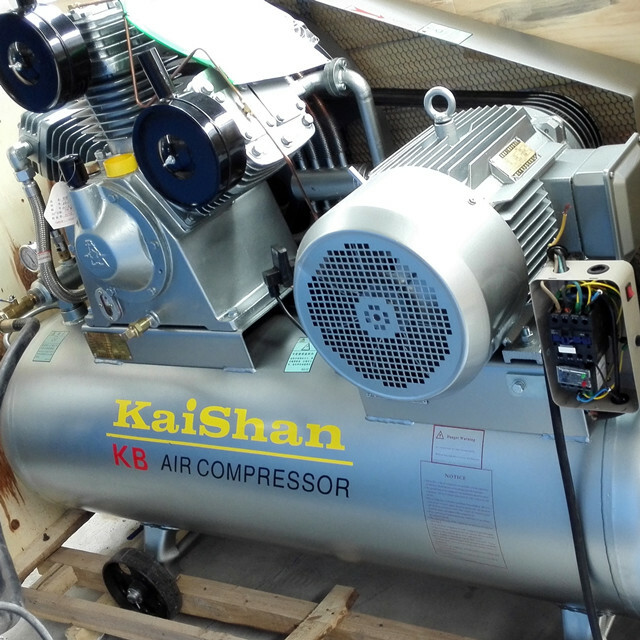 *The machine is small with low investment, easy and safe to operate.